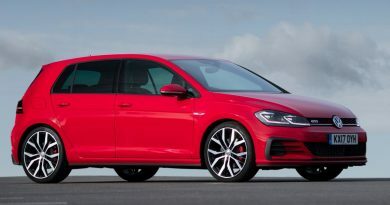 This is the third generation of Skoda’s ever-popular small hatchback, and it’s been tasked with winning sales from a talented and crowded sector that includes the likes of the Volkswagen Polo, Vauxhall Corsa and Ford Fiesta. To do that it needs to be better than just ok, otherwise it’ll be lost in the mass of similar cars from every other manufacturer. 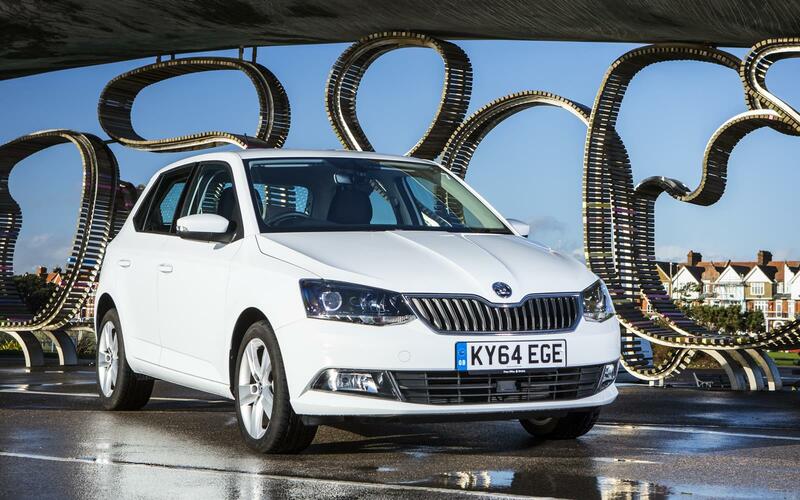 The good news is that the new Fabia retains the good levels of space and practicality of the outgoing model while adding a significant amount of new equipment to the mix, but gone is the styling and up have gone the prices. 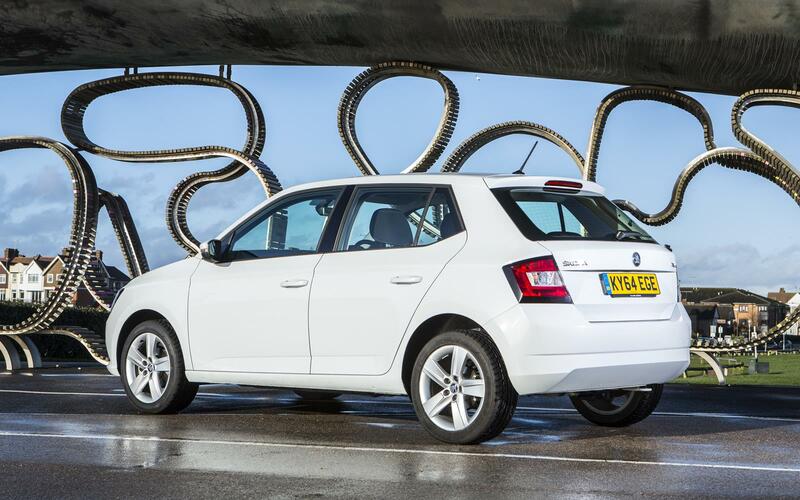 That means a new Fabia will set you back £10,600 for an entry-level 1.0-litre S, with its efficient three-cylinder engine. A range-topping 1.4-litre diesel with an automatic gearbox will cost you £17,240, but right in the middle of those two extremes is the sweet spot, the 1.2 petrol in SE spec at £13,390. Whatever spec you go for, you can’t help but be pleased by its grown up styling. 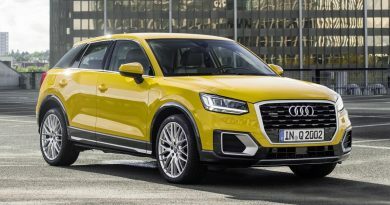 It may not be quite as individual as the old model, but it’s styled sharply and looks as if it would be happy wearing a Volkswagen, or even Audi, badge. Step inside and you’re presented with an exceptionally clear dashboard, although the quality of plastics it’s produced from lack some of the soft-touch classiness of its rivals. 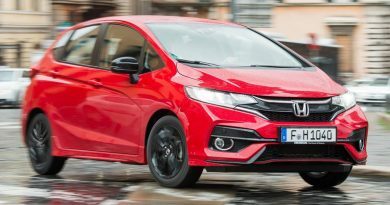 Still, there’s plenty of equipment included to keep you distracted, with every model getting six airbags, DAB digital radio, Bluetooth and USB sockets, while only the base model misses out on air-conditioning, parking sensors and city emergency braking. Stay off the brakes and on the throttle and the 90PS 1.2-litre engine performs reasonably well. It won’t set any performance records, but 60mph comes up in 10.9 seconds and it copes with a motorway cruise without too many difficulties, but steeper hills will need a change of gear. Once you come off the motorway and find some more interesting roads, you’ll find that the body is well controlled with little roll. There’s also little feeling coming through the steering wheel, sadly, but at least it’s light and easy to work. It’s all perfectly competent, but not very interesting. It does allow you to relax though, with the ride quality remaining good at all times, something that is particularly important when you arrive in a pot-holed urban area. 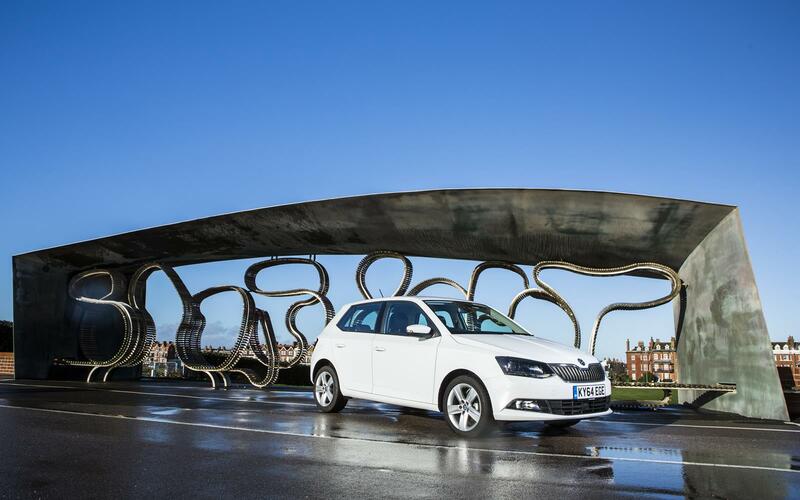 This is where the Fabia feels most at home, where the combination of zesty engine, slick gear change, easy steering and good visibility make driving through the city a piece of cake. 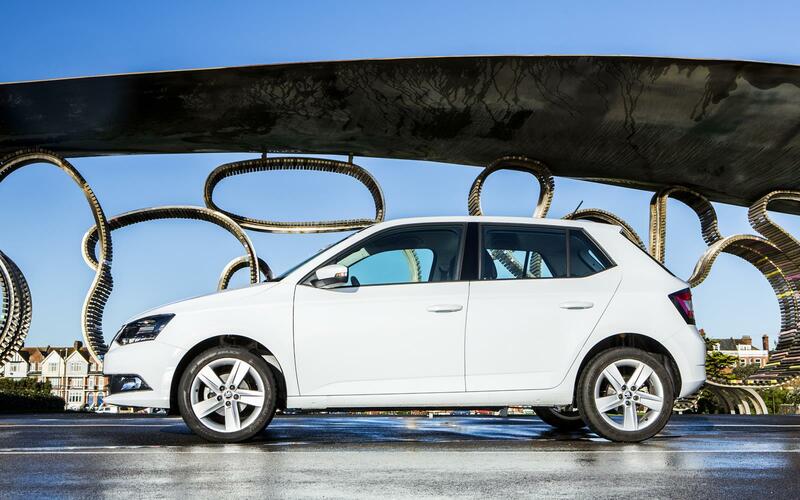 You won’t notice that the Fabia is a tiny bit smaller than its predecessor though. 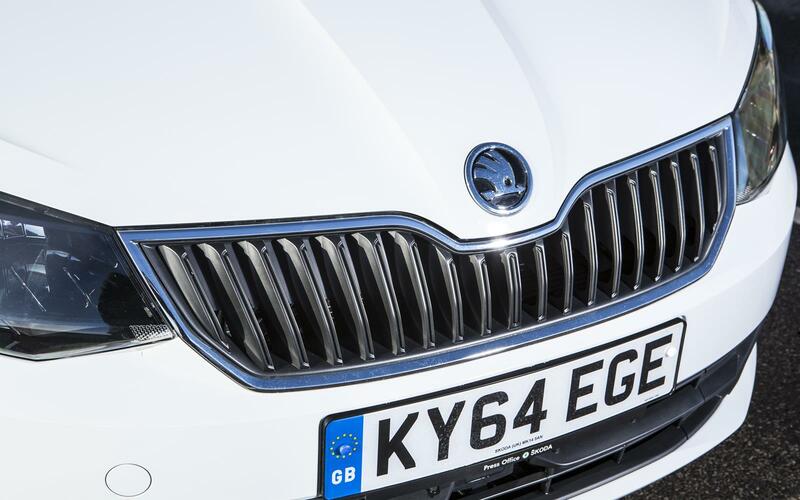 There’s been just 1cm knocked off its length while it sports a lower roofline but, much like the TARDIS, Skoda has pulled off the trick of making it bigger in the inside. 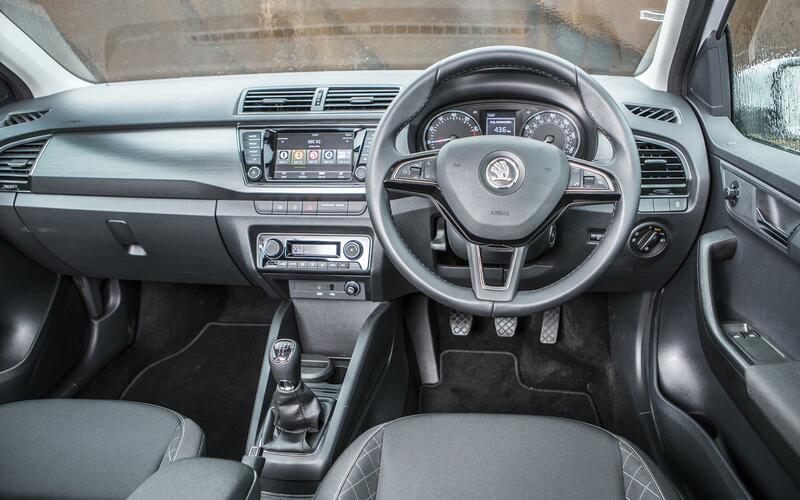 There’s a good deal of space for adults up front, with a front armrest helping keep driver and passenger separated. In the rear there is plenty of headroom for all but the very tallest of people, while leg room is perfectly acceptable. Two Isofix points make light work of putting in a child seat. 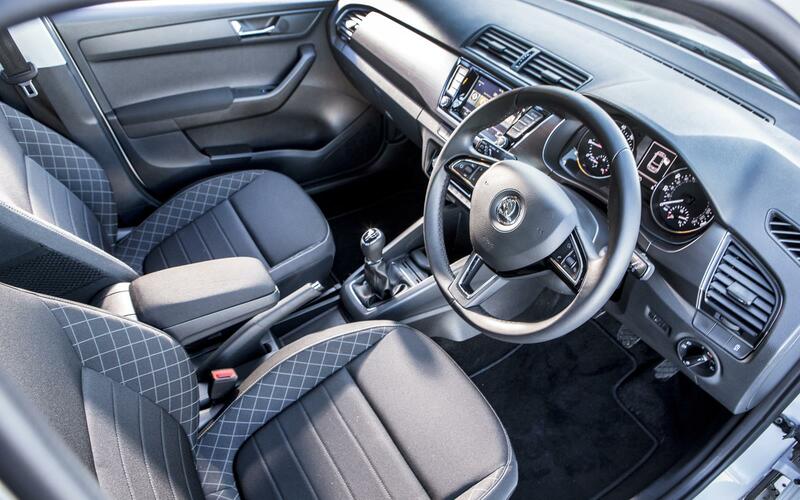 Elbow room has, according to Skoda, increased by 2mm too. You can judge that one. Boot space is roomy 330 litres, extending to 1,150 litres with the seats down, more than you’ll find in the Fiesta or Corsa. Spend £100 on the optional spare wheel though and you’ll lose some storage space. 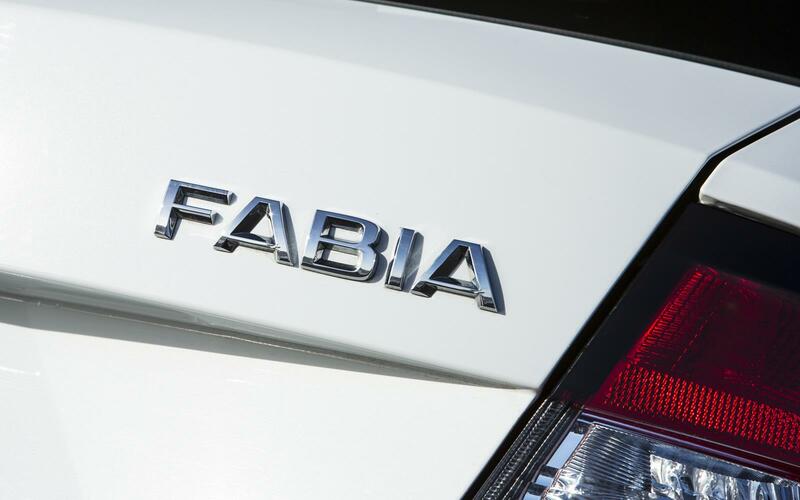 All told, the new Fabia is a significant step forward from the old model, adding more style and more space to the car while also managing to reduce emissions and improve fuel economy. It feels incredibly grown up too, something that will appeal to many. While prices have crept up, they still undercut those of its rivals, so it’s still offering plenty of value for money. 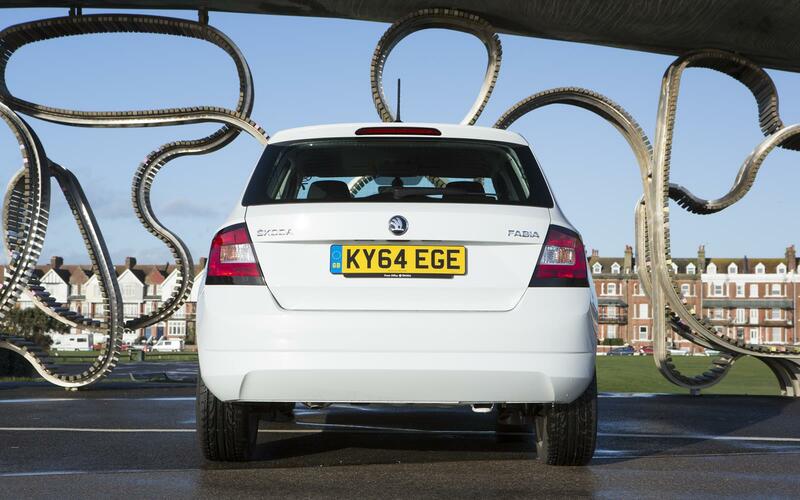 With all that’s going for it, and very little going against it, the Skoda Fabia would make an ideal small family car for many. Don’t hesitate.